i'm so blessed, i can't stand it! i have an amazing, incredible friend, who was recently diagnosed with cancer. she's having surgery in two weeks and i wanted to give her something special--a gift of strength, encouragement and hope. i posted on facebook, looking for ideas, and got the most heartwarming responses. this amazing soul offered to hand make a very special something for her. 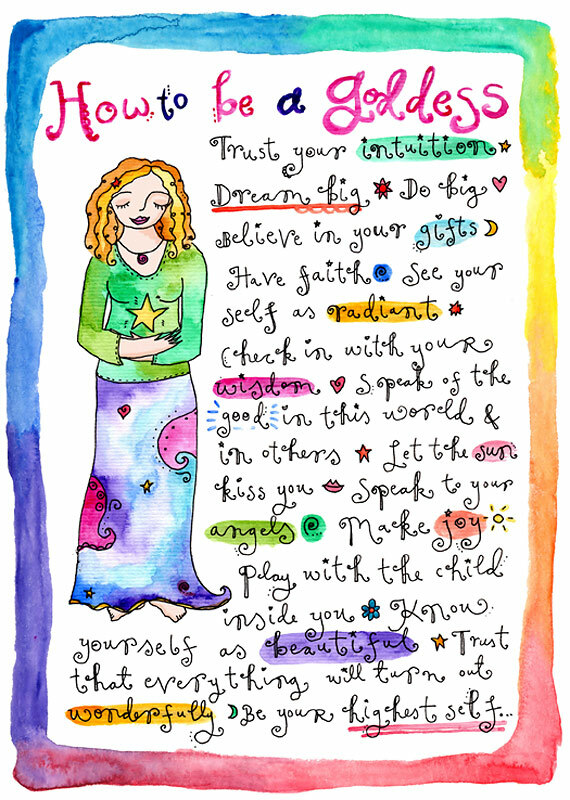 and on her blog, i found this most fabulous print, from guest blogger leonie allen. a print that you can download for free (although you should hurry b/c i'm not sure if it's supposed to still be downloadable). i will soon have the print framed, hanging beautifully and proudly right next to my desk. oh my...it feeds my soul! so as we all dream to create our own magic, i encourage you to read the blogs of amazing people like this. yes, my heart if full. and i am so blessed. so very, very blessed!